The summer season is one of my favorite times of year for one reason: fresh, local strawberries! After a trip to the farmers market on a Saturday morning or an afternoon picking them in a field, I always end up with more than I can use. 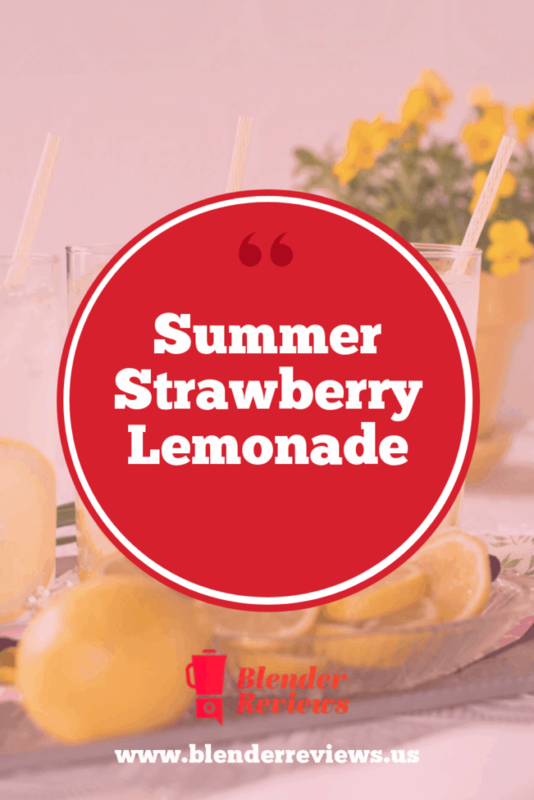 One of the ways that I love to use them up is by making a refreshing summer strawberry lemonade. It’s quick and easy to make, and tastes great on a warm summer afternoon. Combine the sugar and warm water in a small saucepan and stir to combine. Heat sugar mixture on the stove on low-medium heat until all sugar has been dissolved. 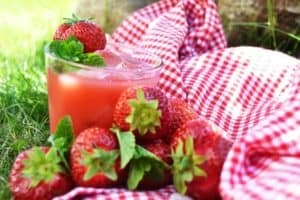 Place the strawberries in a blender with 1/2 cup of water and process until smooth. Pour strawberry puree into a large pitchers with the sugar water and stir well. Add the lemon juice and 4 cups of cold water, then stir well to combine. Serve in a glass full of ice cubes and enjoy!